The opening acts were Widespread Panic and Gene Matthews. The Ocean (Led Zeppelin) was teased in the YEM vocal jam. Mike's Song started as David Bowie. Clocking in at only an hour and fifty minutes, this is a somewhat truncated show, even for the era. 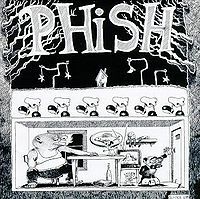 However, there is still some good early Phish for our listening pleasure. Solid Possum and Gin to open. Gin still had the stupid ending at this point, but that is pretty easy to look past. The Divided Sky > The Sloth is strong. The transition is a little shaky, but it ends up working out nicely. The vocal jam out of YEM is one that I actually really liked and the Golgi closes up this set nicely. The 19th Reba ever opens set II. It's obvious that they're not completely comfortable with the song yet; it's not bad, per se, it just feels forced. That said, the jam is actually pretty strong. The Bag that follows is nothing spectacular, but I am going to spend a disproportionate amount of time on it because it highlights something that hadn't fully developed in the band yet. If I had to narrow it down to one thing that amazes me most about this band, it would be how locked in all four of them are when it comes to the direction of their energy. Starting somewhere between Summer '93 and Summer 94, they were always on the same page, as if they all had one mind. They could (and still can) build or naturally fade more fluidly than any other band I've ever heard. All it would take is a couple notes from one of them and the other three would immediately follow higher or lower or where-ever. It's so quick and uncanny at times. Well, what does this have to do with the Bag? There is a point in this Bag where Trey is obviously building tension toward the top of the phrase. 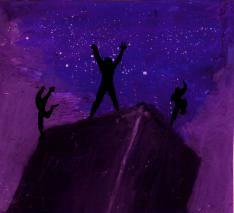 When the phrase comes around he hits the root up in the stratosphere and the other three don't drop the energy. Mike and Page don't drop lower and Fish doesn't lay into the beat harder. The classic formula for release of tension for non-melodic parts is playing dissonant sounds in the mid or high range and releasing it by dropping lower consonant sounds. Both Page and Mike do the first part, but not second. It was obvious Trey was going to release and when he hits that high release it doesn't have very much impact. I make it sound worse than it actually is, but it is the little things like this that separate this well above average rock band from the world class rock band just a few years later. The rest of the show is fine. The piano solo at the end of Coil is only about fifteen seconds long, the ending of Hood momentarily falls apart, and the Mike's Groove is short and powerful. 3 stars from me. Wow this show was truly a major scene...the entire campus was dosed. The rolling slopping fields were iced over with snow and then frozen rain and it was an icey frigid phish fest once agin in New England. Literally everyone was super out there...hot chicks in nice sweaters and it was fun...no beer sold however. We came up from CT for this show as the living room in RI was a couple nights earlier. Gene mathews was interesting...basically some large black dude playing base by himself then joined by widespread for a while then Phish came out. I thought this was the first 'bouncin' but I guess not...small place, and what was funny was a friend of mine who did not even go to school here, took off with some dudes he just met and went to some republican kegger scene at the young republicans club and was stuck with oddball tightwads who did not go to the show and they were like "your friend is acting funny'...well he was out there ya know...college what a fun scene with phish in the early nineties! This was my second Phish show, the January show at Clark University (my alma mater) being the first. 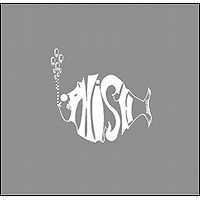 We went from Clark to U Mass for this show (about an hour away) and missed the first part of Phish - can't remember which song we came in on, it was all new to me. The only thing I can really remember is that Mike came out after the show ended - I don't think I talked to him, I have a memory though of him being shorter than I expected and his hair being a weird color. 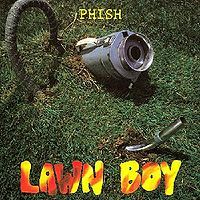 In hindsight it's interesting to realize how many of the songs that came out on Lawn Boy I had already heard at shows like this. We didn't have the internet back then so you only knew the little bits that you could figure out at each show or from albums and tapes. Even watching the video (haven't watched the whole thing) doesn't bring much back - I wish I had more memories of this show!